Author Kerry C. Irons is taking his latest book Poems of Love, From My Heart to Yours Vol. 1 on tour — a Virtual Book Tour with Outskirts Press. This will allow Kerry to take his book into the far corners of the globe, all from the comfort of his own home! Keep an eye out for Kerry’s book as he will be featured on several blogs over the weeks and months ahead! Luckily for us, Kerry was kind enough to answer a few questions as the tour was getting started so that we can give you a sneak peek into the mind of the creator of Poems of Love, From My Heart to Yours Vol. 1. OP: Tell us a little bit about Poems of Love, From My Heart to Yours Vol.1. What is it about? Kerry: My book is about two people in love who currently live on two different continents, who just happen to be my fiancée, Rukayatu and me. Kerry: I met Rukayatu, my fiancee, online. We started to talk and eventually fell deeply in love. During one of our conversations I told her that I was a poet. So, she asked me to prove that to her. So, I did. The first poem that I wrote for her was titled “My Ruky Love.” Since that first poem, the number of poems that I have written for her is now well over three hundred. Thus, comes my first book of love poems, all written for the woman that I love. And the love story of Kerry and Rukayatu is yet unfolding. Kerry: I browsed the internet and investigated a few publishers and decide that I would self-publish through Outskirts Press. I am very satisfied with that decision. Kerry: Any and every one with a heart for love. My book is not only tells a story through poetry about two people in love who are separated by an ocean, it also delves into the subject of love on many levels and the different facets of love in general. Kerry: The one thing that makes my book special is the fact that it contains my feelings, my emotions, as well as the contents of my heart in the form of written words of poetry that I am literally sending from my heart to Rukayatu’s heart. Thus the title, Poems of Love, From My Heart to Yours. My book is also special because it is allowing the world to look inside of mine and Rukayatu’s love. Kerry: The main thing that differentiates my book of love poems from all the others is the fact that Kerry and Rukayatu are not fictitious characters, but instead, two people who are deeply in love with each other and their sole goal is to make the distance and the time between them vanish and one day look into each other eyes and say these three words, I love you. One other thing that I will add. Yes, my book is about the love that exists between Rukayatu and I. But love, in all senses of the word, in my heart is my passion. If I were to ever give a speech or speak at a social gathering the only subject that I would care to speak about is love. In the synopsis of my book I wrote these words “Love is the greatest power on earth, but mankind, as of yet, has failed to harness it and reap its true rewards.” To me those are not just words, in a way, they are the essence of my very being. Kerry: No, Poems of Love, From My Heart to Yours, is my first book to be published. There will be other volumes that will continue to tell the story of Kerry’s and Rukayatu’s love. Volumes 2 and 3 will be published in the near future. They have already been written. Kerry: Yes, many more. As a matter of fact, Rukayatu and I will be jointly writing and publishing the complete story of our love in the form of a romance novel that will give a detailed account of all the things that we have gone through in the quest to have our love. OP: Thanks for your time, Kerry! We look forward to learning more about you as you visit other bloggers! 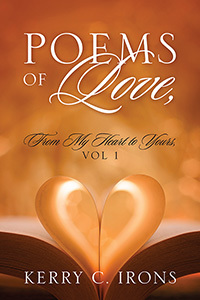 This book Poems of Love, From My Heart To Yours, Vol 1 is the first book to be published by Kerry C. Irons. Kerry grew up in the boot heel of Missouri so he has deep southern ties. Some would call him a country boy while others would say that he’s southern by the grace of God. Kerry served our great nation in the US Air Force for three years and has worked in several professions up to this point in his life. This book, being his first attempt, at the pursuit of a long-time dream and that dream has been to share a part of himself with the world. Kerry has attended two different colleges where he studied various subjects but the dream of writing over shadowed most of them. 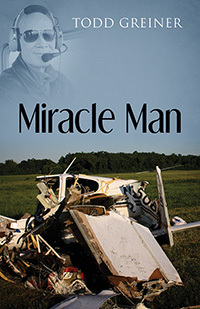 With the release of this book Kerry has taken the long-awaited step, of letting the world see into his heart. Imagine your book getting exposure at massive events attended by hundreds of thousands of literary industry players from all over the world—without leaving the comfort of your home! With the Global Book Tour from Outskirts Press, you can. Book your “trip” today, and you’ll get 15% OFF this already discounted tour package! Author Ala Sarraj is taking his latest book Internal Medicine Alert II, on tour — a Virtual Book Tour with Outskirts Press. This will allow Ala to take his book into the far corners of the globe, all from the comfort of his own home! 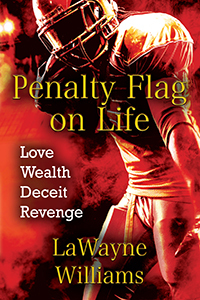 Keep an eye out for Ala’s book as he will be featured on several blogs over the weeks and months ahead! Luckily for us, Ala was kind enough to answer a few questions as the tour was getting started so that we can give you a sneak peek into the mind of the creator of Internal Medicine Alert II. OP: Tell us a little bit about Internal Medicine Alert II. What is it about? Ala: Review and test prep in high yield format. Ala: I felt there was a dire need to cut short the time for test and review preparation and more importantly the time to assimilate and acquire knowledge in those fields. Ala: Through self-publishing Outskirts Press in 2016 and revised in 2018. Planning on revision every 2-3 years. Ala: Internal Medicine residents, physicians and midlevel’s not to forget medical students as well. Ala: It’s special because of its unique setup to reflect simple and effective random notes creating strong line of mental associations in the facts that is set up like flash cards especially in the e-version format. OP: What differentiates your book from other books? Ala: From other series is its simplicity and high yield effectiveness in acquisition and fast recollection of all facts. 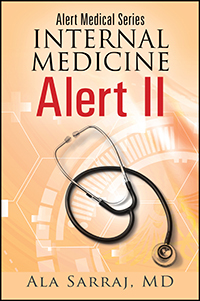 Ala: This book is part of Alert Medical Series (a 9 book series covering the fields of Internal Medicine, Emergency Medicine and USMLE). Ala: Yes, I plan to publish more of this type of medical books not to mention revisions every 2-3 years, to stress the need for high yield effective medical knowledge trimming the unnecessary ‘fat’ of “would be, could be, to be determined, and alike,” And unwanted interjections. OP: Thanks for your time, Ala! We look forward to learning more about you as you visit other bloggers! The Author: Ala Sarraj, MD, American board certified in Emergency Medicine and Internal Medicine. He graduated from Damascus Univ. Med. School / Syria. Trained at Georgetown Univ. Dept. of Medicine / DC General hospital, Washington, DC, and Rush Univ. Med. center / Chicago. Dr. Sarraj is a full-time emergency medicine physician in Chicago metropolitan area since 1991. The Editor: The series was reviewed and edited by Maggy Shamekh, MD. A graduate, residency trained and holding master’s degree of family medicine from Cairo Univ. Med. School / Egypt. Performed collaboration research work between Cairo Univ. cancer institute and MD Anderson cancer center, Houston / Texas. Worked for the WHO for the eradication of polio in the Middle East. Dr. Shamekh is a diplomat in health care quality management from the American Univ. / Cairo.